Target Canada offers a REDcard program that allows Canadian shoppers to save 5% every day on already low prices at Target stores using either a REDcard debit or credit card. Because Target is still a new retailer in Canada, I didn’t fully understand what the program is all about or how easy it is to get!! Did you know that that the savings are applied right at time of purchase?!? But if you don’t use a Target REDcard you are giving up 5% savings on almost all of your purchases. What is Target REDCard Debit Card? With each purchase at Target, you will save an extra 5% !! If you’re like me and you already love shopping at Target, you might as well get the Target REDCard Debit Card and save more every time you shop! You can apply online or in store! Yes, there is a full-fledged MasterCard as well. Just be aware that you will be opening a new credit card account. All newly approved Target REDcard holders with applications received between October 20th and November 10th, 2014, inclusive. will receive a coupon that can be used between December 1st and December 31st, 2014 inclusive to get a one-time additional savings of 5% off their Target REDcard purchase at Target stores in Canada. 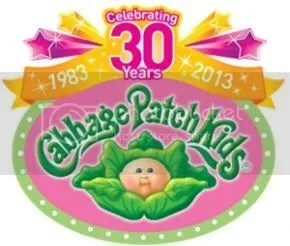 Cabbage Patch Kids celebrate 30 years with giveaways and parties! When I was 8 years old, all I wanted for Christmas was a Cabbage Patch Kid. Me and all of the other 8 year old on the planet. I guess they had a pretty good connected with Santa, because magically on Christmas morning, she was there! I’m sure Santa had a hard time during the Christmas of 1983. Cabbage Patch Kids were the big “must have” present that year. My CPK dolls had been a part of many of my childhood memories. Just last summer, a friend of mine got married. 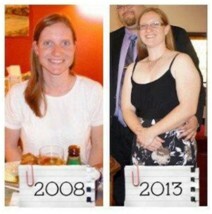 She and I have known each other since we were 3 and we shared many memories that included our CPK dolls. My doll made a special appearance during my speech at her wedding. 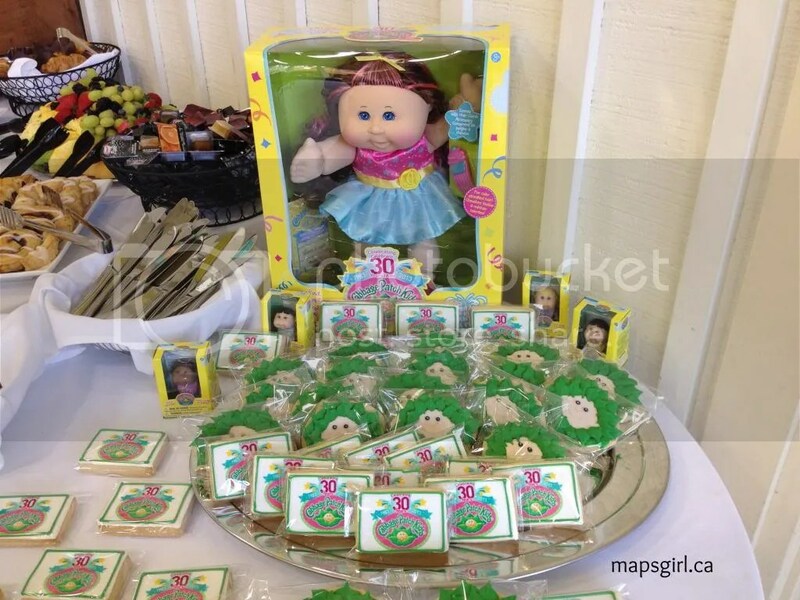 When I was invited to the kickoff event for the 30th Anniversary of Cabbage Patch Dolls, I was so excited! These dolls continue to be a part of so many little girls lives and to be able to celebrate such a milestone is amazing. 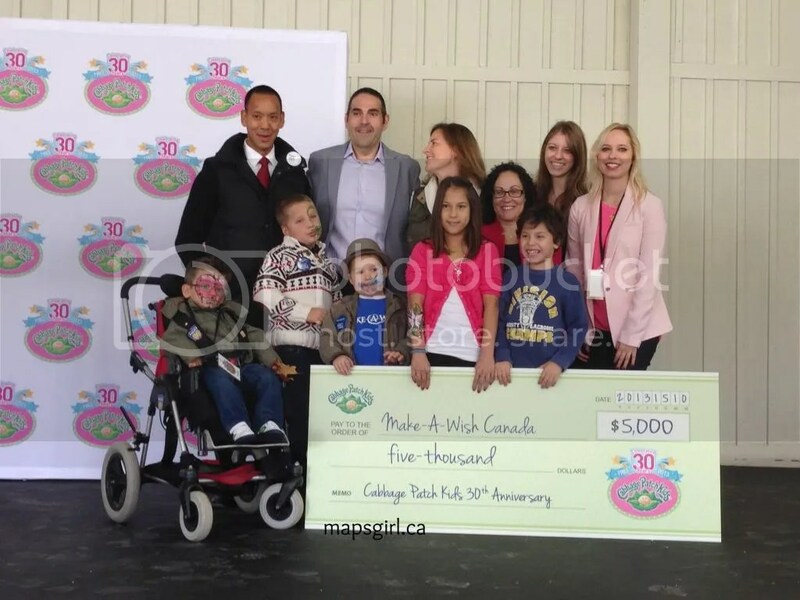 Jakks was thrilled to help kick-off the Make-A-Wish season of giving with a $5,000 cash donation as well a commitment for a season of partnership with toys and fund raising. 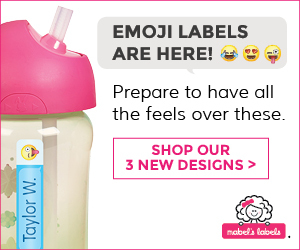 Come celebrate with Cabbage Patch Kids on November 16th at Toys R’ Us! “Toys R Us has been a primary Cabbage patch adoption center for Canadian children for 30 years and what better place to throw our nation wide party than at their stores. 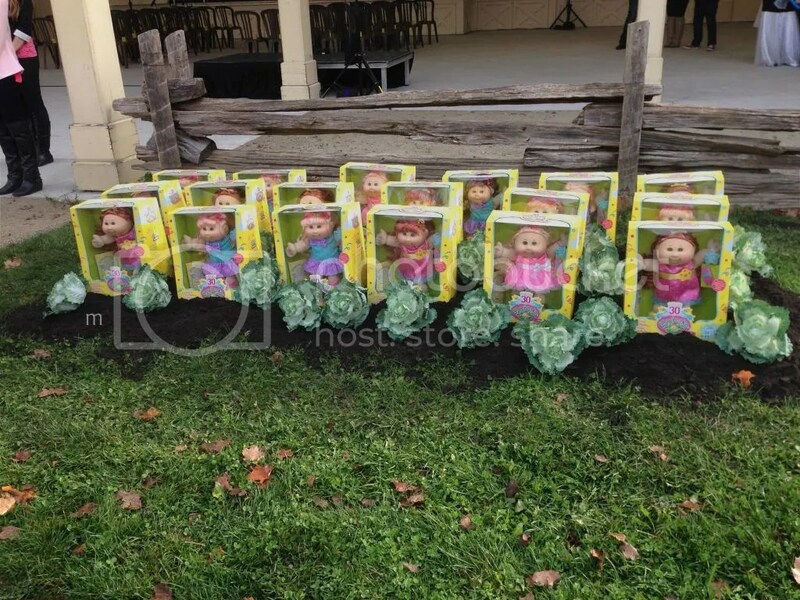 On Saturday November 16th, Toy R Us locations across the country will have special pricing on Cabbage Patch Kids product to help recreate the craze of 1983.
and two in the GTA: Vaughn Mills and Sherway Gardens. At these stores consumers will have the opportunity to celebrate by having their photo taken, receive a custom CPK Frame, mini doll loot bags, tasty treats and $5off coupons. Beginning November 1st, when you join the Cabbage Patch Kids online community by liking the Jakks Pacific FB page and share your memories and post pictures, you will be entered Each day we will randomly select one winner to receive a 30th anniversary Cabbage Patch Doll. What Cabbage Patch Kid memory will you be sharing on Jakks Pacific’s facebook page as your entry to win? 2013 is a monumental year for producer TARZAN Zerbini. Since the humble start of the Zerbini Family Circus in Paris, France in 1763, ten generations of Zerbinis have traveled the world sharing their talents with circus audiences on three continents. We invite you to be a part of the Zerbini Family Circus’ 250th Anniversary Celebration at the Shrine Circus featuring a fresh mix of amazing entertainment in a traditional circus setting, all under the European style Big Top. For more details or to see the Quebec dates, go to the Shrine Circus Schedule on their site! Discount Code: Use the code “Fun” in the Coupon Code box when ordering and you can get 2 tickets for the prices of 1! **UPDATED** This code was for 2013. Want an extra chance to win the family trip to Two Tails Ranch in Florida?? This post is sponsored by the Shine Circus. I will receive compensation for this post, but all opinions are my own. We need to teach and encourage our child to protect our fresh water! 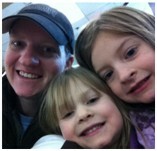 The girls know to turn off the water when they’re putting soap on their hands, or when they’re brushing their teeth. 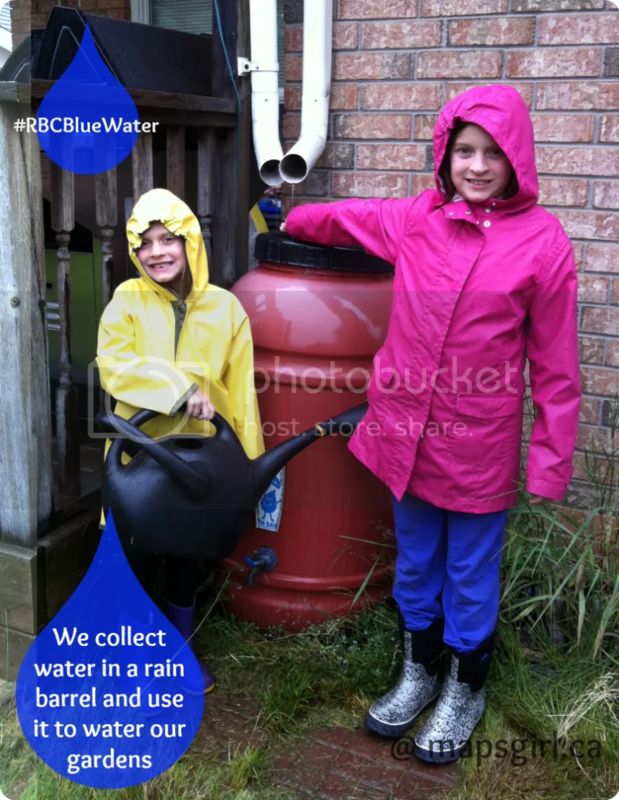 For a long time now, we’ve been collecting water in a rain barrel. This is a great source of water for watering our gardens and plants. Here are some other great tips! Get informed. Learn about your local watershed. Support your local watershed organization or regional conservation authority. Minimize the square footage of impervious surfaces such as concrete and asphalt on your property. Consider using paving blocks, grass driveway strips, wood decks, wood chips, and crushed rock when designing driveways, patios and garden pathways. This will allow rainwater to soak through the ground rather than going directly into the storm drains. Don’t dump products that contain toxic chemicals or pharmaceuticals on the ground, into sewers, or into the toilet. Use natural, organic gardening and lawn care products. Use non-phosphate soap to wash your car. Try to wash your car on gravel, grass or other permeable surfaces so that soaps, dirt and oil do not enter the storm drain system. Use a rain barrel to collect rooftop runoff, and use that water for lawn and garden watering, car washing, and window cleaning. Use tap water instead of buying bottled water, where municipal supplies are safe. Use a thermos or re-useable aluminum bottle to carry your water. Plant trees and support pro-forest initiatives. Soil erosion due to forest depletion results in water pollution worldwide. Convert your lawn. Native plants tend to be better adapted to local environmental conditions, and can require less fertilizer, fewer pesticides and less water than typical grass lawns. For more great tips, see rbc.com/bluewater. 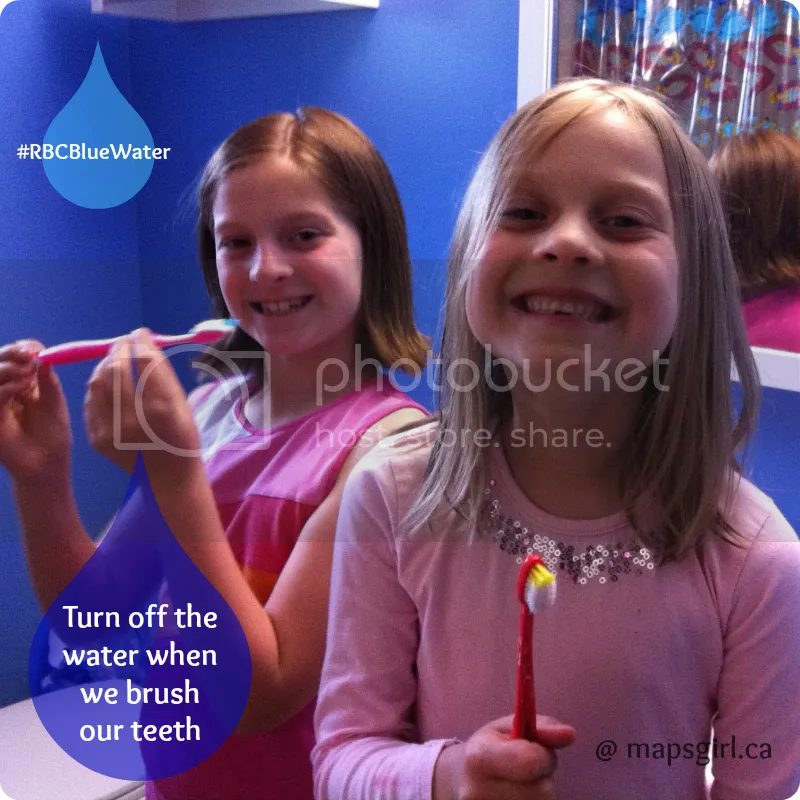 What are you teaching your children about conserving and protecting our amazing fresh water sources?? Start small…start today! This post content is sponsored by Royal Bank of Canada, however the views and opinions expressed herein represent my own and not those of Royal Bank of Canada or any other party and do not constitute financial, legal or other advice.